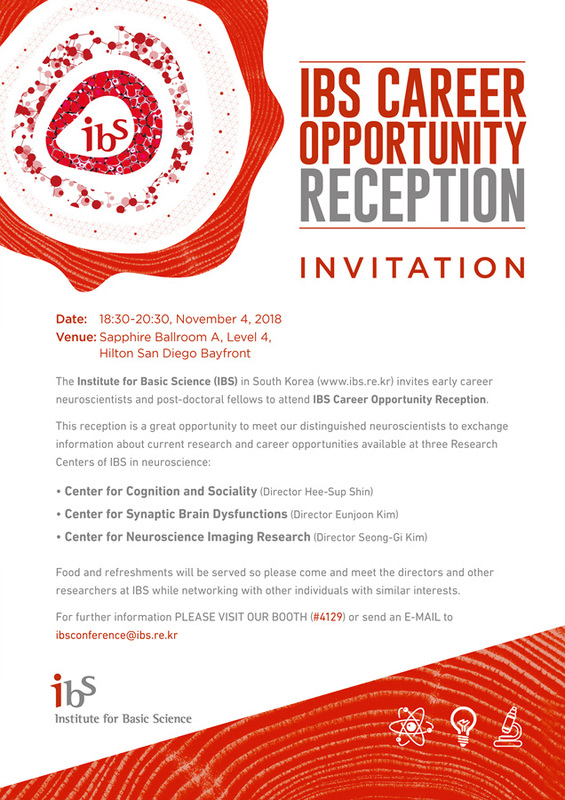 The Institute for Basic Science (IBS) is hosting IBS Career Opportunity Reception as a satellite event of Neuroscience 2018. The reception will take place on November 4, 2018 at Hilton San Diego Bayfront Hotel. Please join us to meet our distinguished neuroscientists and learn about career opportunities available at IBS.